The Pentax K-1 Mark II is the latest iteration of this camera boasting new features and upgrades, but not necessarily a complete change from the original model. The camera definitely has some improvements, like the AF Tracking algorithm, with the camera having a great range of features for most situations. But the big question is if it can hold its own against the competition and even its predecessor. 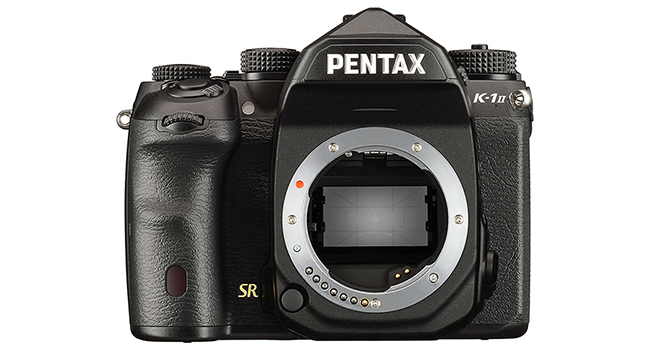 The K-1 has to hold up against the rest of the market at this price point and does so with a 36.2MP full-frame CMOS sensor, 33-point AF system, 5-axis sensor-shift image stabilization in body, and some unique features like built-in GPS and sensor-shift technology. The problem is that the competition is also loaded with great features and have arguably advanced even more than the K1. Two years after the first release, this upgrade may seem more or less the same on the surface with basically the same body as the K1. But, it does have some important changes. A new accelerator unit is there to increase the signal-to-noise ratio, essentially reducing noise in Raw format but is ‘on’ at all times. AF tracking has been upgraded and a hand-held Pixel Shift mode for stacking images into one high-quality file. The highest ISO setting has been increased to 819,200 which sounds great on paper but isn’t really usable at that level. The AF Tracking algorithm is a definite improvement on the original. The camera is built like a tank, with a magnesium alloy body and tons of weather sealing that will be immediately familiar to K-1 owners. The very useful, customizable dial on top of the camera can quickly adjust a number of features such as ISO, bracketing, and exposure compensation. A fully tilting LCD screen is a great addition with LED lights lighting up all the important controls. Being a three-dial camera means you have quick access to its main features. That said, these features the most useful ones for you. The dials are flexible but in reality, only two custom buttons are available. You can’t customize things as easily as you can with other DSLRs, so this boils down to if you are happy with how Pentax have laid out their controls. A ‘Dynamic Pixel Shift Resolution’ mode can be used when handheld which samples a red, blue and green pixel, to increase the resolution and get rid of color aliasing artifacts. The new hand-held pixel shift mode will take four different images and compose them into one file. In reality, probably the traditional pixel shift method is the better of the two in use. A dedicated AF point joystick would have also been a nice addition. Instead, you have a four-way controller for selecting AF points. Older K-mount lenses can be used on the KII, but there are some exceptions, such as the DA and DA-L lenses, so check first. The ability to specify the auto ISO with a ‘rate’ selects the shutter speed based on focal length for you. Pentax also has a great feature, which sets the shutter speed and aperture, then lets ISO take up the slack. While the camera’s ISO setting has been increased to 819,200, it introduces noise at high ISO levels. Dropping the ISO to a more regular range means fantastic images, especially for landscapes, portraits, travel, and even sports and wildlife given they don’t move too fast. The K2 can also track better than the K1. Using the Traditional Pixel Shift mode yields the best quality. Raw and JPEG levels are roughly the same as the K1 as long as you stick to base ISO settings. Using 33 AF points (25 cross type) is the same as the K-1, which work very well for depth and subject tracking, but maybe a tad behind its competitors. The in-body stabilization can give a few stops of stability which is comparable to the Sony a7 III. When it comes to video, the camera does not record in 4K, but it can do HD video at 30p with focus peaking. Basically, it’s the same setup as the K-1 and includes full-size headphone and microphone sockets. The interface is basically the same as the K-1, with some extra options for higher value ISO settings and hand-held dynamic pixel shift. There are five different tabs for still images, video, playback modes, custom settings, and set up and it’s customizable. With a fully tilting LCD screen, all the options seem more easily accessible at any angle. Price is usually a big factor in this area of the market. The Pentax comes in at $2000, the same as a Sony a7 III, with a Nikon D750 at $2300 and a Nikon D850 at $3300. Only the Nikon D850 has a bigger megapixel count of 46MP, but the Pentax offers in-body stabilization and an articulating rear LCD. Existing K-1 owners will want to know what they are upgrading for, and that includes better AF Tracking, but the K-1 has almost everything that you’ll find in the KII, along with the original Pixel Shift mode. If most of your images will be in low light and darkened conditions, then the K-1 may be the better option. This is the feature that suffers when compared against the Sony a7 III, Nikon D750, and the Nikon D850. The K-1 II has a higher level sensor which is a benefit at lower ISO levels, but the noise levels in the Pentax at the extreme ISO levels is a letdown. The Sony and the D850 can also record video at UHD 4K/30p compared to the Pentax at 1080/30p. The Pentax plus points are its rock solid weather sealed body, a lovely 36MP full-frame sensor, and some unique features. A big downside is going to be the noise reduction factor on raw files which will reduce detail at higher ISO ranges. Video and autofocus are not as good as its competitors. The camera has a solid build and takes high-quality images, but the noise introduced at high ISO levels means that the K-1 is still the better all-around option. It’s marked at a competitive price point, but all-round image quality is a key factor in this price range. The lack of 4K video may also be a deciding factor for some. Firmware upgrades in the future may remedy some of these points, but for now, K1 users may stick with what they have already.